Have you ever imagined yourself wandering the avenues of Paris, where you can visit world class museums, dine in amazing restaurants and then find a terrace in the sun on which to sip champagne? Well it is possible. Visit 52 Clichy for an unforgettable experience. I’m English so you don’t need to worry about speaking French unless you want to but as I have lived in Paris for 20 years, let me show you how to live like a local and experience the real Paris. Whether you are a single traveller, couple or a family group of up to 6 people, I would love to share my knowledge with you so that you can feel part of 'La Ville Lumière', the City of Light. See you soon in Paris - A très bientôt. 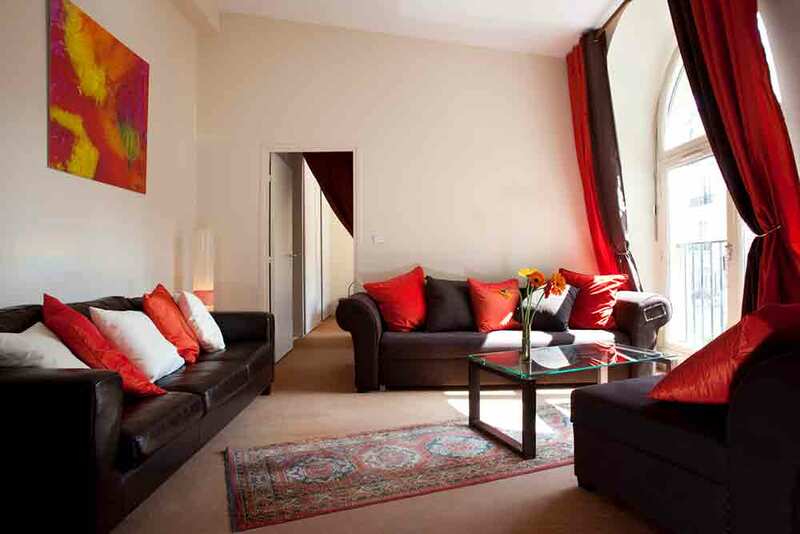 Your smart, comfortable space in central Paris. Amazing breakfasts, super-comfortable bed(s) & an elevator to the door. Sit on the terrace with a glass of wine or flop on a sofa and relax whilst planning tomorrow’s excursions. 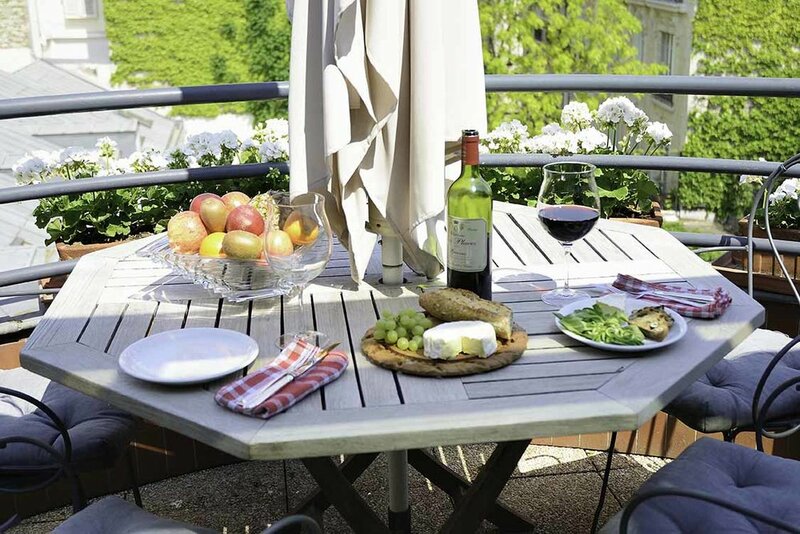 Rosemary is an excellent host who expertly guided us during our stay in Paris at her B&B. During her wonderful breakfasts, she offered advice on places to visit, the best ways to get there, etc., all of which were spot on. Great location, convenient to public transportation, looking forward to our next trip! 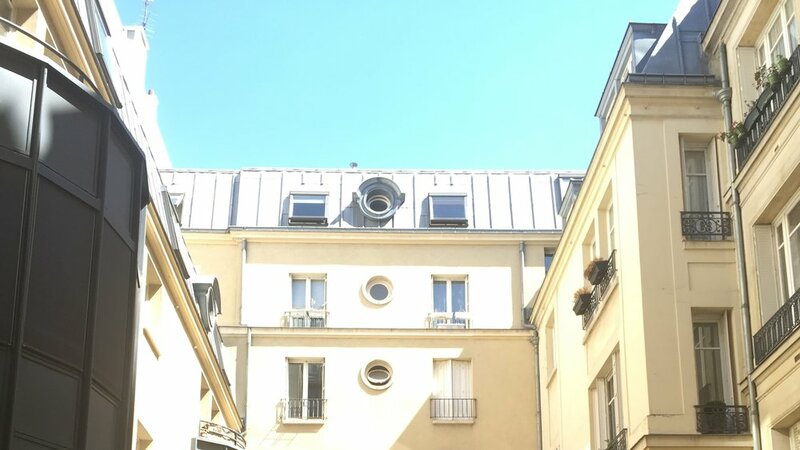 Your 60m²/200ft² home away from home in central Paris. An ideal safe, comfortable base for couples or families of all ages. There is a full kitchen, 1 & half bathrooms, free high-speed WiFi and a large, modern elevator will bring you to your door. Rosemary provided an excellent time for us in Paris and was always available from start to finish. The luxury apartment was first class. Lovely decor and a brilliant location which is near to the center of all to see and do in Paris. I can’t recommend Rosemary and her Paris apartment enough. Copyright © 2019 | 52 Clichy Paris | All right reserved.